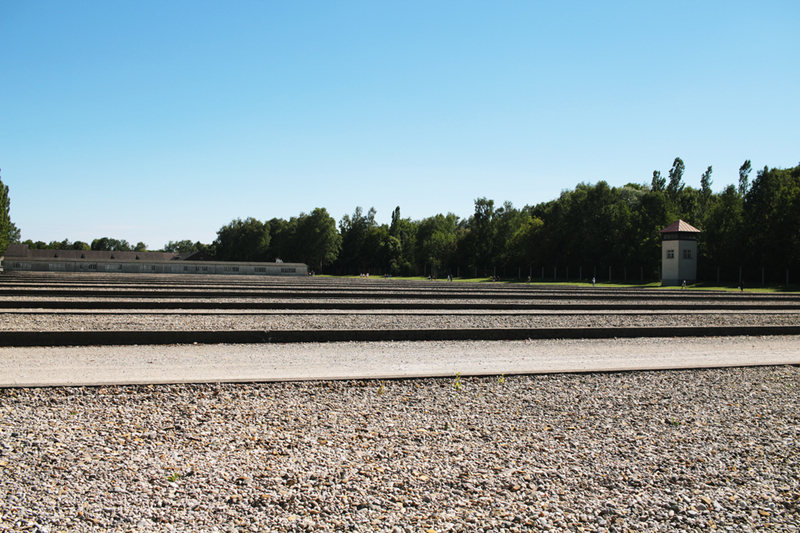 On my way back from the Tyrol, I stayed in Munich en route to the airport, and visited the Dachau concentration camp museum- it was the first Nazi concentration camp and served as a template for many of the others. 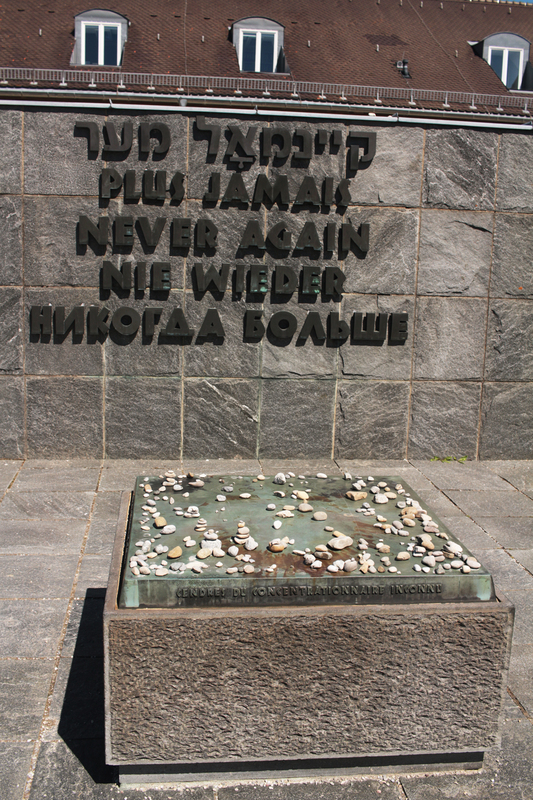 I think it’s important to visit these places, so it’s not just an abstraction in a history book, and to remind yourself that these things can happen again in “normal” places like the suburbs of a large modern European city. I think it’s especially important in the current political climate too, with the rise of the far right, and populist politicians creating scapegoats out of groups such as immigrants. The museum is free (and compulsory for all schoolchildren in the area to visit), but you can also pay to support it by going on a tour, which I did. These photos are mostly quick snaps which I took in the gaps of the tour. 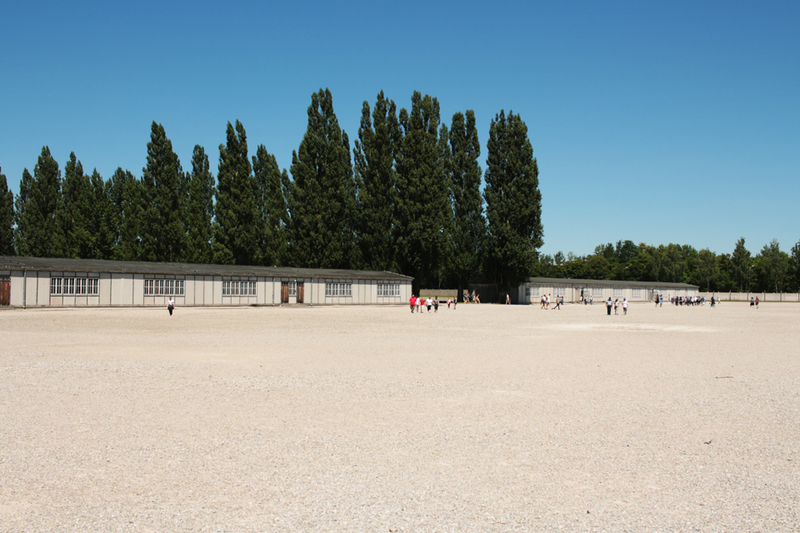 This is the parade ground where the prisoners were forced to pointlessly line up and be counted for hours in all weathers, wearing nothing but thin pyjamas. 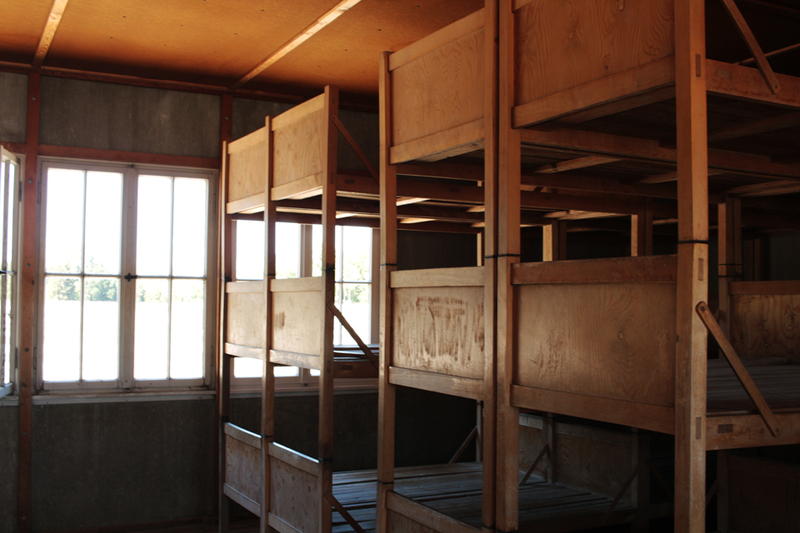 Each of the thin, uninsulated huts was filled with bunkbeds. Originally each bedroom had 50 people crammed in. By 1945 there were 200 per bedroom. 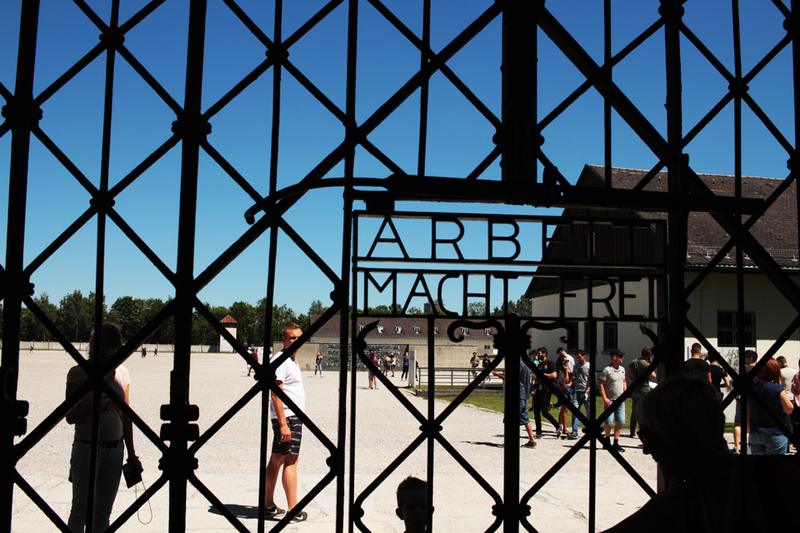 Each hut had multiple rooms, so there could be thousands of people crammed in there. The SS guards took sadistic delight in severely punishing the prisoners for minor infractions in bedmaking or floor-polishing. The managers of the camp of course lived in luxurious mansions nearby- you can still see them from the bus. 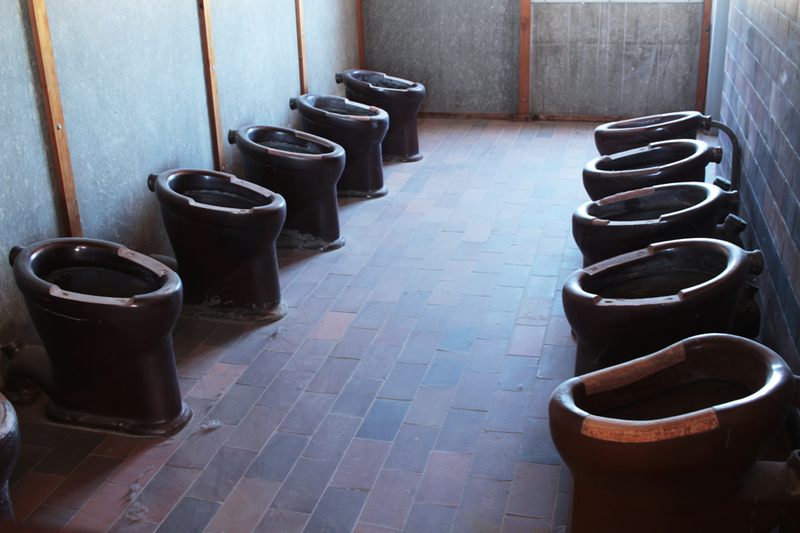 Bathroom for those thousands of prisoners to share. Typhoid was rife in the camp. 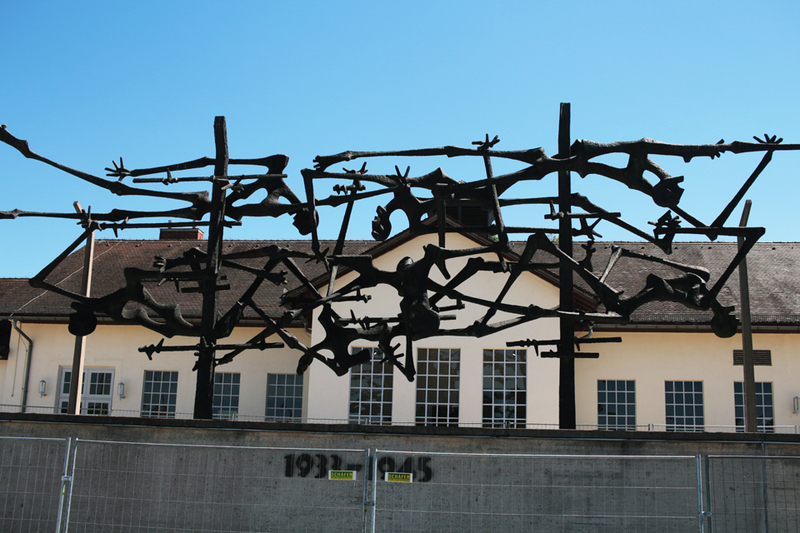 Dachau wasn’t officially an extermination camp- the prisoners there were fit adult men who the Nazis thought they could make money out of first before working them to death. The conditions, food and workload were so bad however that the death rate was extremely high- estimated at 200 people per day towards the end. Endless foundations of the huts. Very few people ever escaped the camp- however a lot of people killed themselves by throwing themselves on the electric fence. This sculpture by Nandor Glid commemorates them. 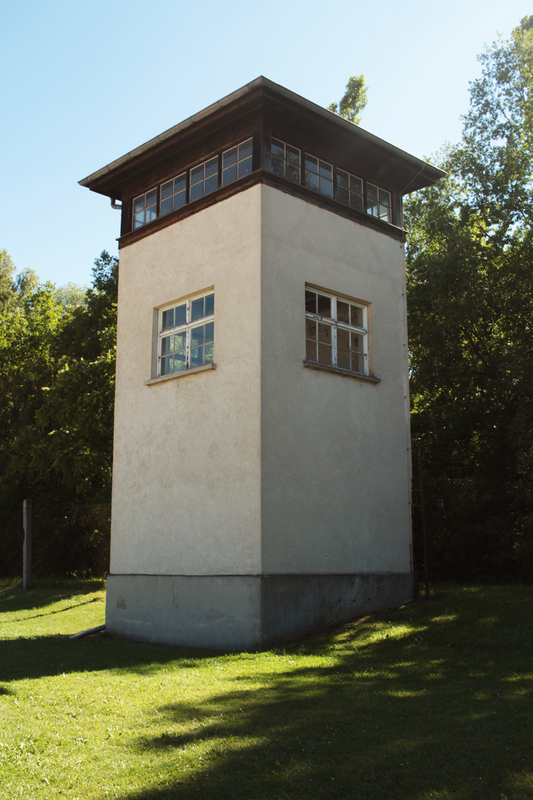 Guard towers. The SS fostered an exclusive, elite image, but as the guide said, the main thing they wanted from guards was brutality and willingness to mindlessly follow orders. The prison at the back of the camp. If the SS put you in here, you were probably never coming out. This is also where brutal medical experiments on the effects of hypothermia and altitude decompression were carried out on prisoners. Monument to the different coloured triangles prisoners were forced to wear to categorise them. 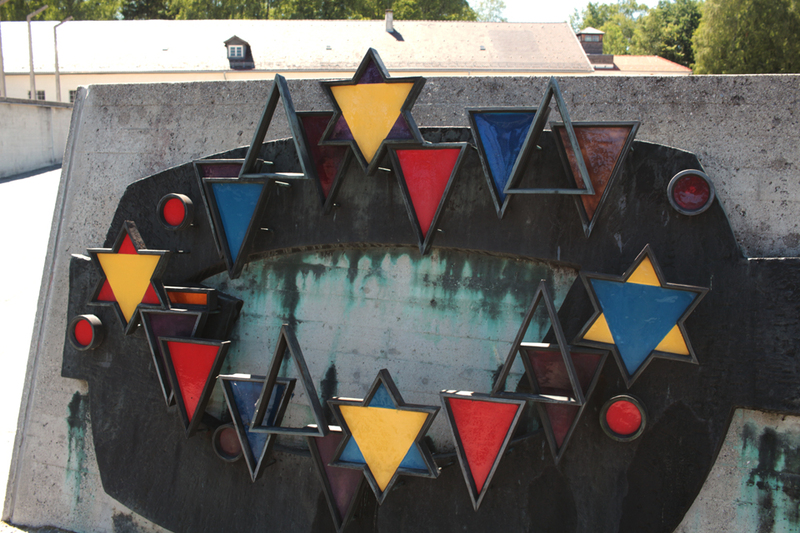 Ironically the pink triangle for homosexuality is absent, because homosexuality was still a crime in West Germany when the monument was erected. Grave of the unknown prisoner. This is the original gate- the one now standing is a replica. The original gate was there until it was stolen a few years back. It later turned up in Norway and is now in a locked cabinet. 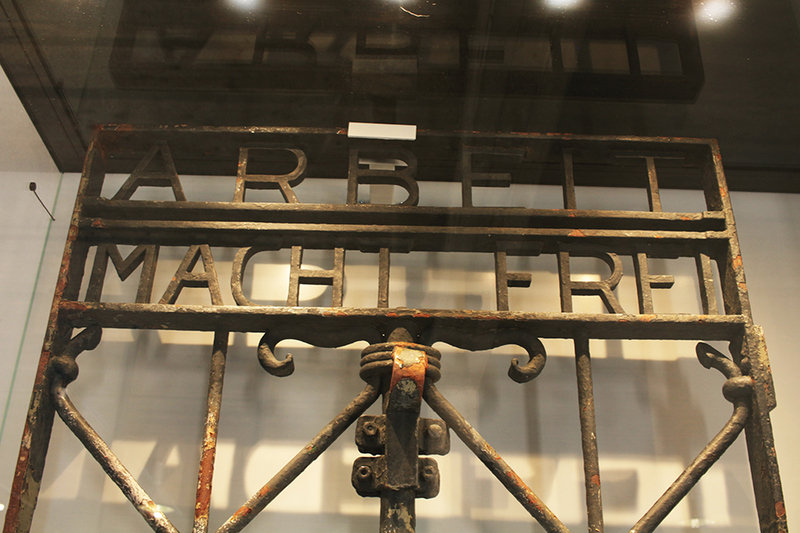 I don’t even understand who would want to steal a concentration camp gate. Everyone in my tour group was very respectful and appropriate. The same can’t be said for everyone there that day. 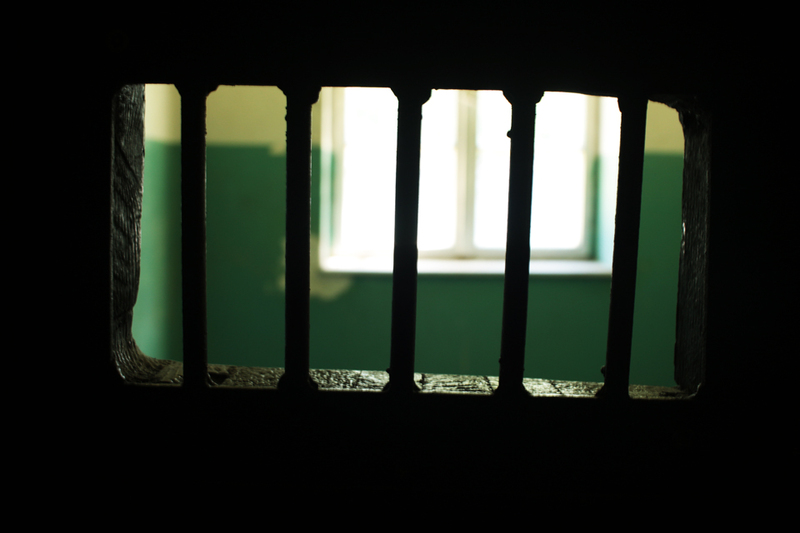 Two women were taking grinning and laughing selfies pointing at a video of starving prisoners and stacks of bodies, and ignoring everyone giving them dirty looks. They tried to rope in a stranger to take photos of them, and she shoved the phone back at them in disgust. I don’t know where they were from. People had also scratched their names and phrases like “Long Island” into the crematorium chimney. Yes, the actual chimney of a concentration camp chimney. Sometimes it’s hard to have any faith in humanity. Thanks for this post Emma. I’ve been thinking about this a lot lately. It’s important to talk about these crimes I think, especially now as the Holocoaust begins to pass from living memory and some people start to believe that it is not something they need to think about. Do you know about project Stolpersteine? this is the official site http://www.stolpersteine.eu/en/ I think it is a really constructive and useful memorial. I think I’ve seen some of these in Germany and Austria. You can’t really go anywhere in Vienna without seeing plaques on buildings that such-and-such a writer, musician or artist lived in this building until they were killed by the Nazis or best-case-scenario had to flee abroad, especially as so many prominent Austrians at the time were Jewish. That’s a big theme in the early parts of ‘The Rest is Noise’ – a book by Alex Ross about 20th century classical music. Vienna is the main focus in the beginning because the most influential composers of the era were all there and a high proportion were Jewish and so were chased out or, ultimately, murdered.